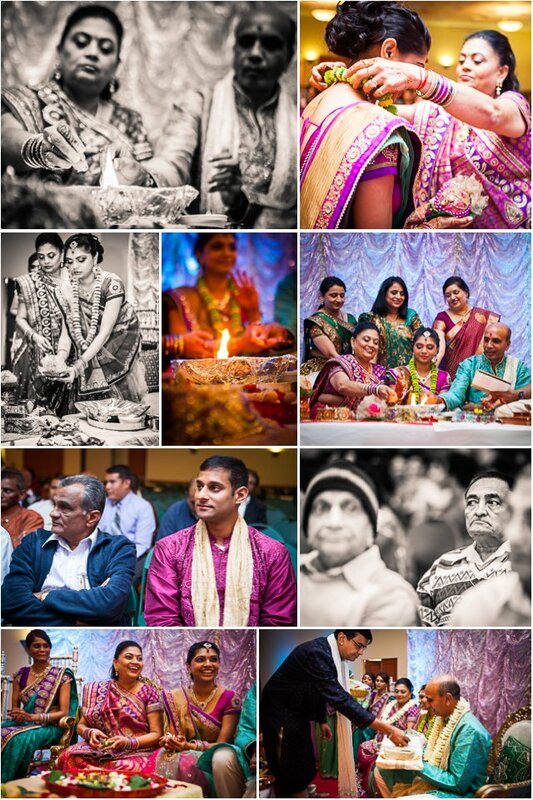 Highlights from Sheetal & Justin's Graha Shanti wedding ceremony held at the Schertz Civic Center in the San Antonio area. 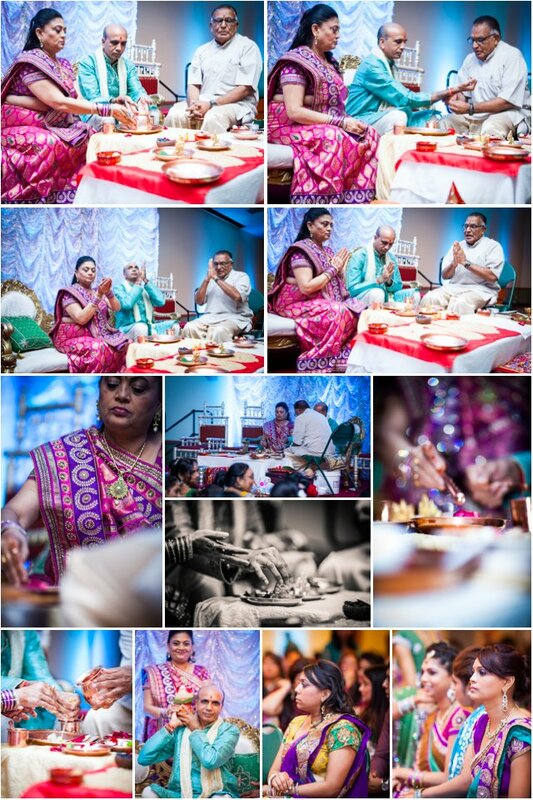 Highlights from Sheetal & Justin’s Graha Shanti wedding ceremony held at the Schertz Civic Center in the San Antonio area. 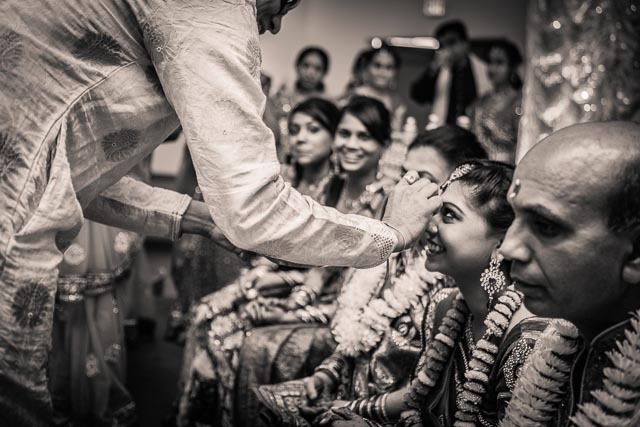 A Graha Shanti is a traditional Hindu ceremony, usually held the day of or the day before the wedding, in which the priest performs prayers to remove all obstacles and to provide the couple-to-be with prosperity and happiness. 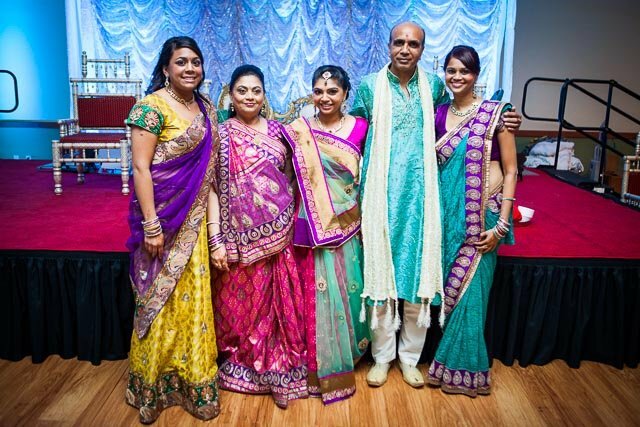 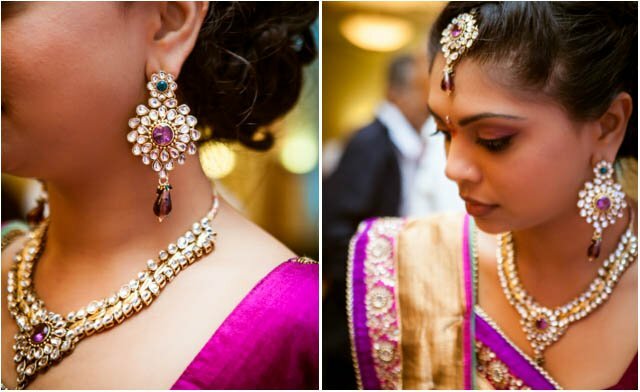 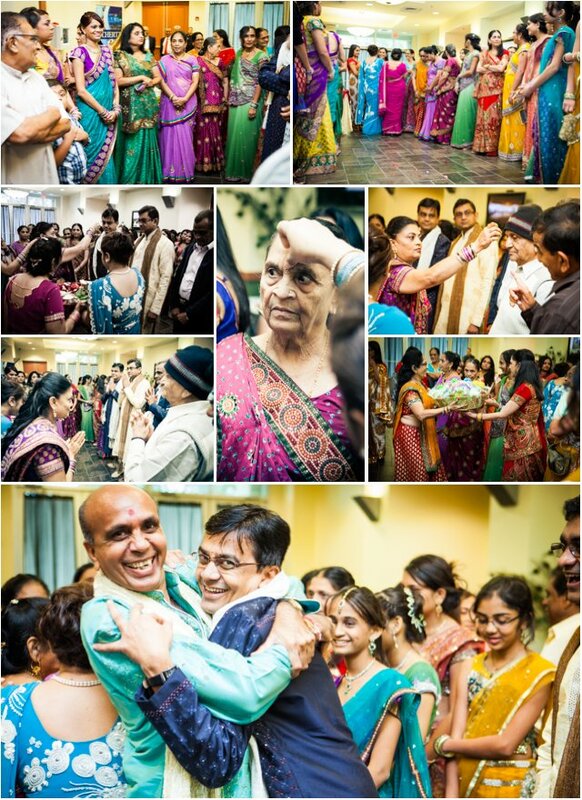 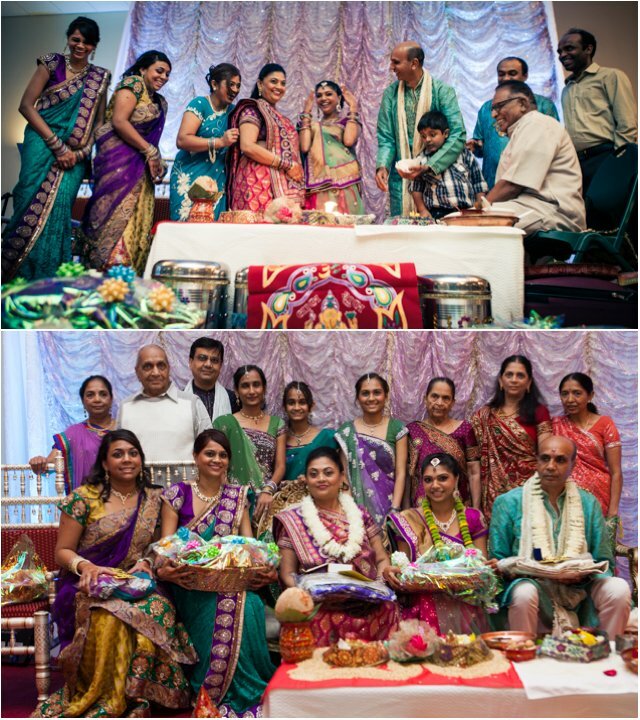 Typically, the bride’s family holds a graha shanti for the bride while the groom’s family does the same for the groom. 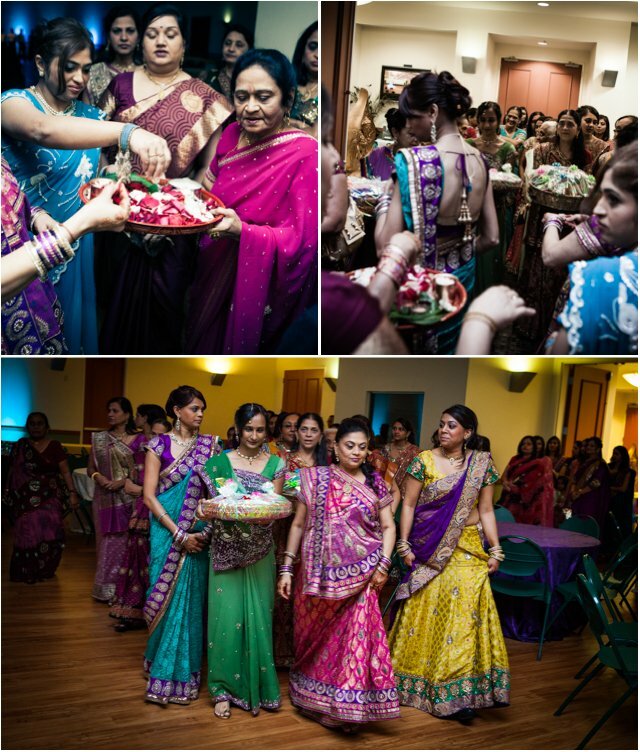 Love the colors, especially in those darker photos.